Today's card is being featured at my Birthday Cards class. 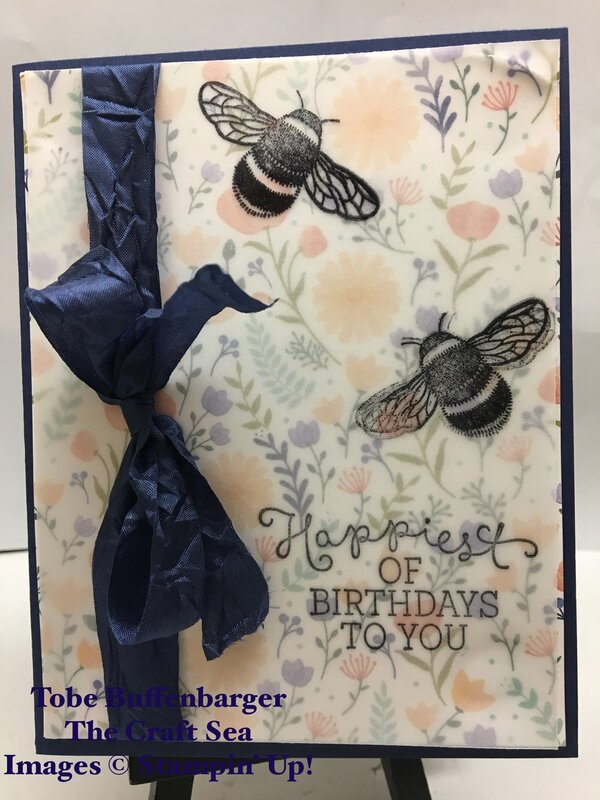 I stamped the bee and sentiment onto a piece of vellum using Basic Black Ink. From there, I layered the vellum on top of a piece of pretty pattern paper. For the final touch, I added some gorgeous crinkly ribbon. A simple but striking card!